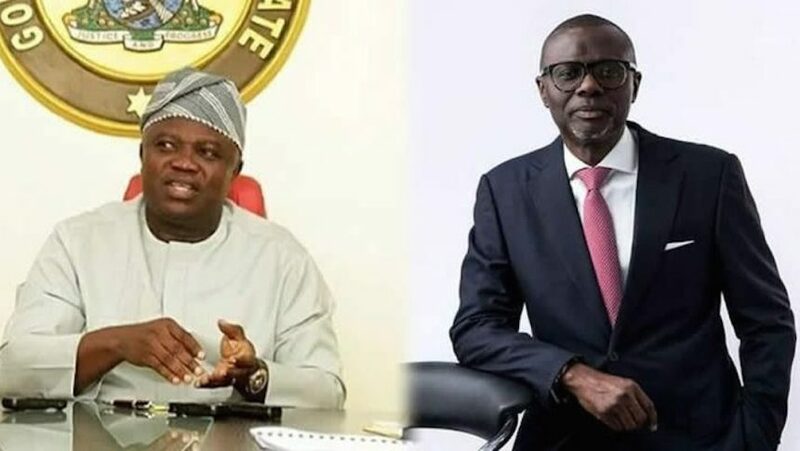 Lagos State governor-elect, Babajide Sanwo-Olu has spoken on the alleged rift between him and Governor Akinwunmi Ambode. Gboyega Akosile, his spokesman, in a statement on Monday, described the relationship between the duo as a cordial one. Akosile assured that the two leaders were in constant communication and were working on modalities for a smooth transition. He said: “I can confirm that Mr. Sanwo-Olu and Governor Ambode are in constant touch with each other. They are working quietly behind the scene to come up with a smooth transition. ‘’They are talking majorly about the composition of the transition committee that will work on the seamless hand-over on May 29th this year. There is no rift of any sort between the Governor-Elect and the sitting Governor. “I can speak authoritatively that the Governor-elect does not think about all that happened during the campaign period, rather his mind is fixed on the future of Lagos State. ‘’Very soon, Lagosians will be availed the details of all the positive things that our leaders have been working on in the background. “Campaign period is over, now is time for some serious work on how to move Lagos State from the point it is to where it is to where we all desire”.